SIC-A-R2 series are applicable for cooling moulds to reduce products molding cycle; also they are available in the cooling of equipments in order to maintain a normal temperature. 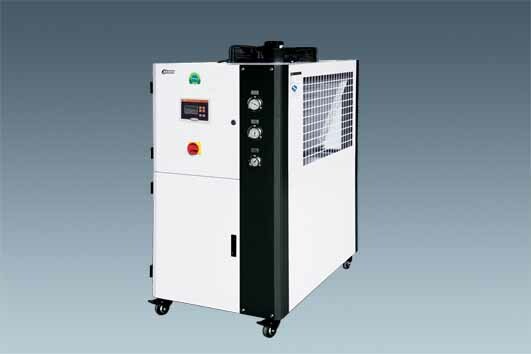 Besides, they are suitable for other industries with the need of cooling. Stainless steel insulated water tank. Adopt R410A refreigerant, used to improve coefficient of performance(COP) and R410A is ozone-friendly. Refrigeration loop controlled by high and low pressure switches to ensure stable operation. 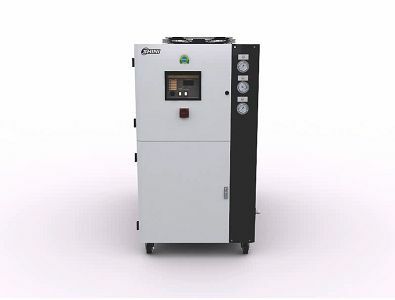 Adopts precise Italian temperature controller with and accuracy of ±1℃. Low pressure pump is standard configuration. All adopt quality compressors from major supplier. Adopt fin style condenser design. Without any need of cooling water for excellent heat transfer and rapid cooling. Medium and high pressure pumps are optional to meet any pressure requirements. Level sensor of water tank is available to detect water level. Hot-air bypass valve can be opted to reach the accuracy of ±1℃. Solenoid valve is optional to prevent evaporator freezing by cutting the refrigerant immediately after downtime. Refrigerant indicator can be opted to detect the refrigerant and ensure its quality and water ratio. Optional flow wsitches to detect chilled water flow.